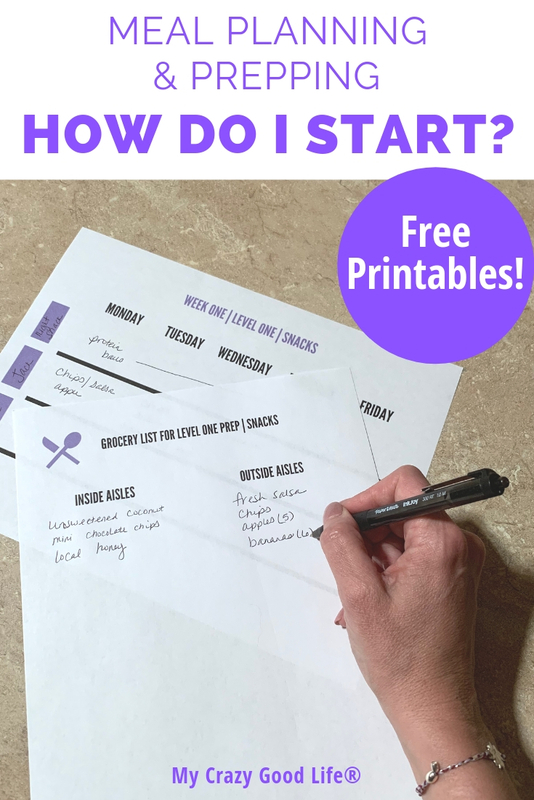 There have been so many questions over the years about getting started with meal planning that I knew a series about how to meal plan and prep would be helpful, and I finally had the time to dive into it. Meal Planning can be overwhelming, so I’ve put together a series for you about how to get started meal planning and prepping. This series will help you determine how much to make, how to not waste food, and how to ensure that you make enough. This is a perfect way to learn meal planning for beginners! 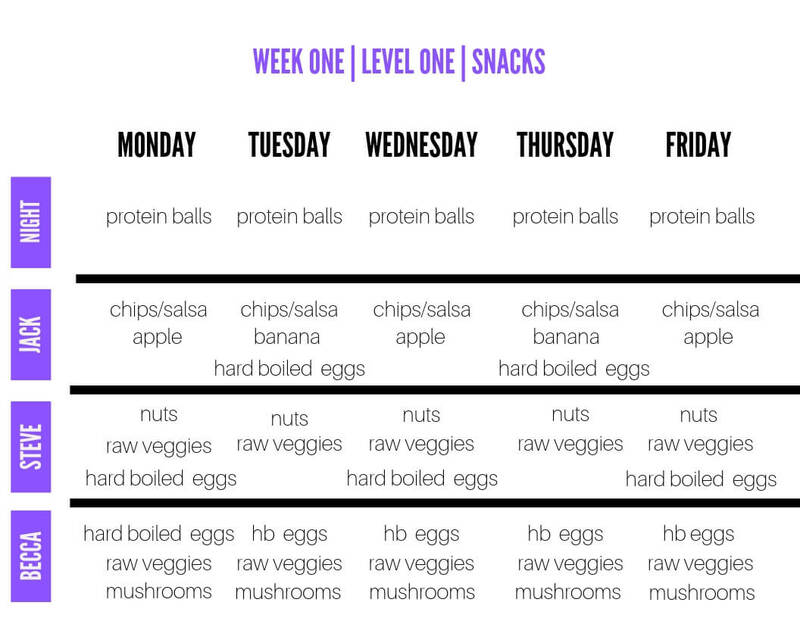 I created a meal plan and prep challenge group where we gradually built our way up to prepping breakfast, lunch, dinner, and snacks for a week. You see, meal planning and meal prepping aren’t an “all or none” concept, as many people think. Meal Planning is when you sit down and make a plan for what you will eat. You can do this daily, weekly, or monthly, and you can do it for one meal a day or all of them. Meal planning is helpful for those who are watching what they’re eating because it takes the guesswork and impulse out of your day. If I’m planning out my snacks, I know that come 3pm when I am craving chips, I’ll have a protein ball and some veggies ready to go in the fridge instead. Meal Prepping is the actual making of the meals. You can prep the ingredients or prep the meals–it’s up to you, but the meal prep comes in when you prepare the meals you’ll be eating for the week. Why do people meal plan? There are so many reasons that people meal plan. They meal plan to save money, for weight loss, and to focus on eating healthy. Having delicious meals and snacks prepped and ready to be eaten is a way to ensure you’re sticking to your goals. I have a ton of my favorite recipes on my Pinterest boards–I’d love for you to connect with me over there! The idea is to start with Level 1 and work your way up to Level 4, but stop when you feel it’s enough for your family. I have meal plan templates at the end of this post–enter your email in the teal box and check your spam if you don’t see the link and password in your inbox right away. Print those out now and follow the steps below. Step One: How much do I need to prep? How many people will be home each day and night? Think about your busy week–sports, days off, half days, field trips, and work schedules. When does your family usually snack? 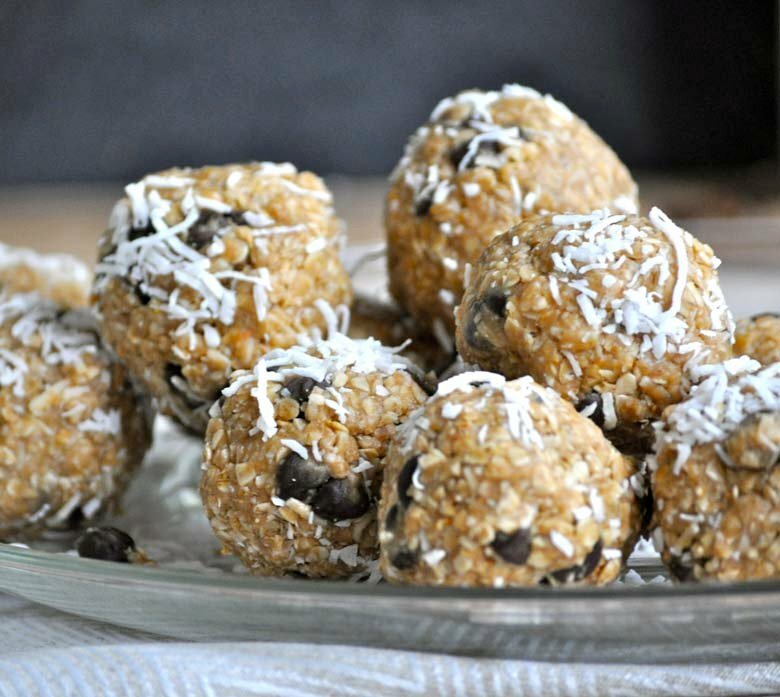 Should you plan to make daytime and nighttime snacks, or are daytime snacks enough? Step Two: What do I prep? What does your family enjoy snacking on? Make it a healthy balance of what they like and what’s good for them. What will easily last for the week? When I prep for the week, I try to choose foods that will easily last in the fridge from Monday-Friday. Step Three: What extras should I have on hand? What happens if the kids are starving one day this week? What about when friends come over and snack? Any chance your significant other will eat extras? 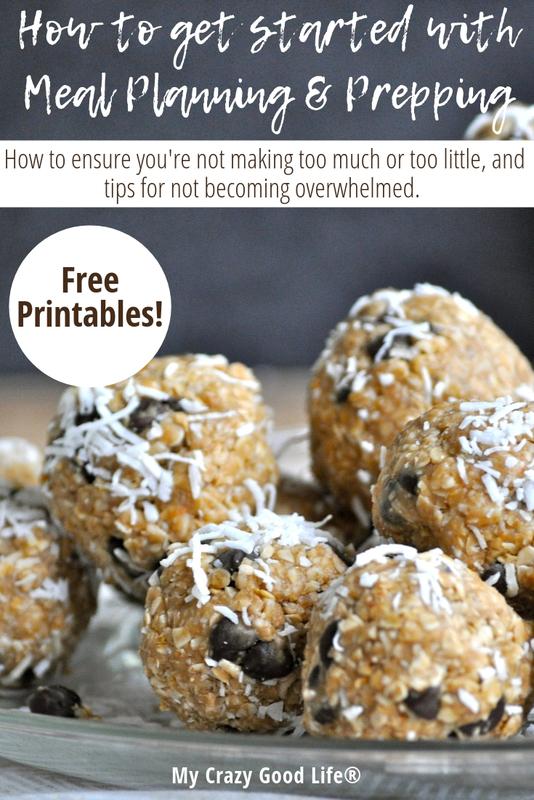 Granola bars, nuts, and fruit that lasts a bit, like an orange, are great for these extras. Remember, for this week we are planning only snacks. This helps you understand the planning part, and also eases you into the prepping (as well as the prep time!) to see how much your family needs. 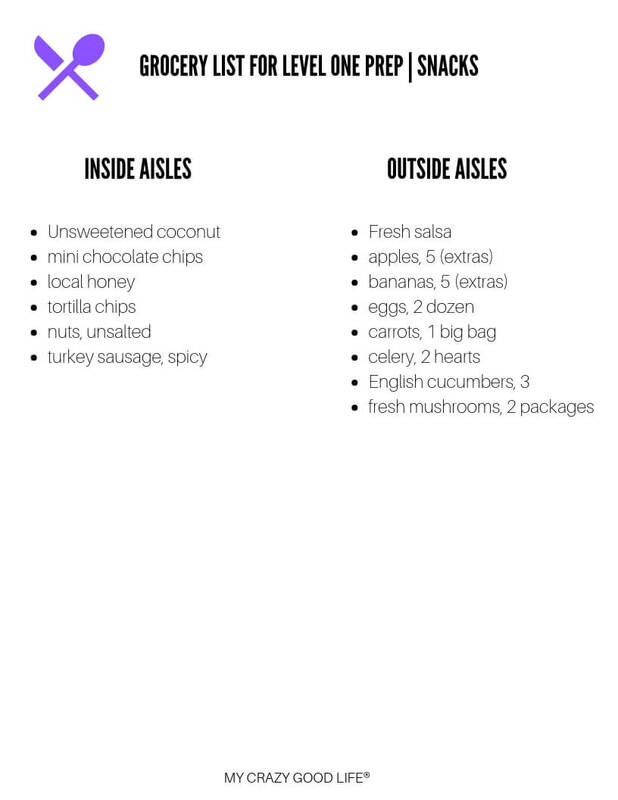 This planning printable is an example of how I plan my snacks for the week for my family of three (our oldest son is away at college, so I’m not prepping for him). 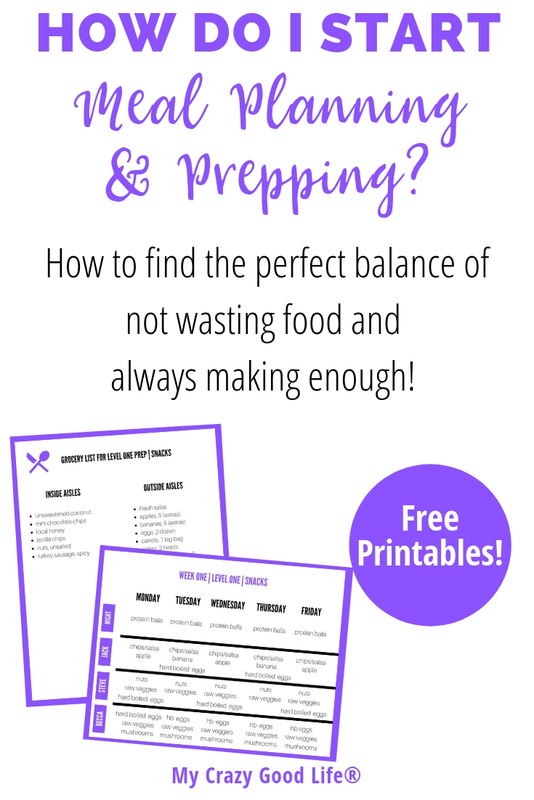 There are free meal planning printable sheets at the end of this post. You do not have to prep the same snacks as I do. It’s the system that we’re learning–don’t stress about the snacks. Go through steps 1-3 above and write down what works for your family. We use these as more of a dessert than a snack, at night after dinner. They’re pretty much part of our weekly meal plan every week. Hard boiled eggs are eaten as is, or sometimes I pull out the yolks and mash them with a teaspoon or two of mayo, add them back to the egg whites and sprinkle salt and paprika on them. Nuts We buy unsalted mixed nuts from the store and I prepare them in small grab and go bags. Raw Veggies We eat raw carrots, cucumbers, and celery every day. You could easily swap this snack with your favorite raw veggies, or even a bag of frozen veggies (I always look for the bags without sauce or cheese added). Stuffed Mushrooms For these, I take raw turkey sausage and stuff the mushrooms with it, then bake them. These take just a few seconds to heat up (or you could eat them cold) and it’s an easy way to get some protein and veggies in. Next up? Your shopping lists! I read my Snack Plan line by line and add items to my grocery list after checking my pantry for them. Next, we will be discussing Level 2 prepping–snacks and lunches. 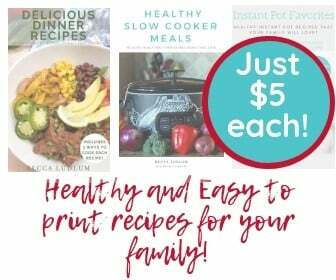 I’ll be providing recipes that can be easily frozen and made on the stove, in the oven, in a slow cooker or in an Instant Pot. I try to use easy to freeze recipes when I meal prep so that if I make too much or our plans change, I can stick the extra food in my freezer and use it another time.